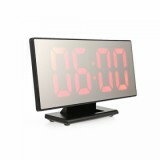 Digital LED Alarm Clock Timer Calendar Table Decor is a new modern alarm clock, which can be putted on your desk or on the wall as a hanging clock. The huge LED screen equipped make it fashionable and multifunctional. You can read the time clearly and can also use it as a mirror. You do not need to worry about using time of the clock, it will not be easily broken because of the plastic material. 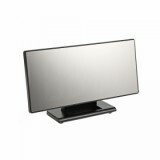 What’s more, it is super lightweight and slim, perfect for bedroom, living room, office and so on. It adopts 2 kinds of time display 12h or 24h, you can adjust depends on your own like. Besides, it has memory function that can memorize time in case of sudden power off. It will reconnect to power will not need to reset the time. • Wooden Alarm Clock, Glowing Change Alarm Clock are also available in BuyBest. Digital LED Clock Clock Digital clock with mirror background with a modern design that suits well both in the office and at home I ordered one that I use in the office but I will order another two three having a big house really help me a lot this kind of watch is very nice in appearance with well-finished lines materials of high net quality very visible from many angles. 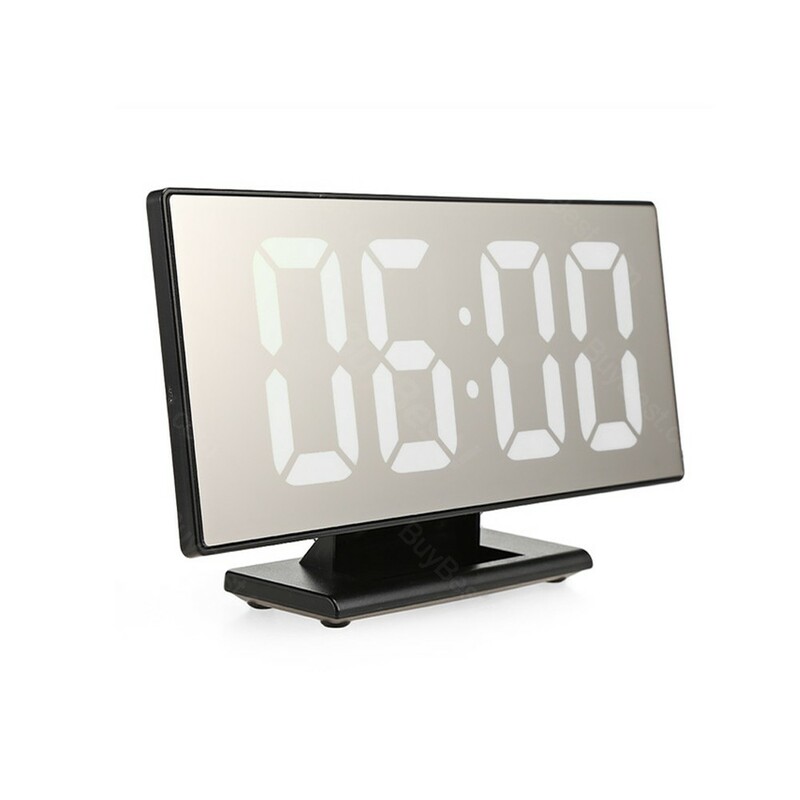 Digital mirror clock has a perfect size, neither too large nor too small modern and very practical, it is well lit low consumption, has multiple precautions to overload and short circuit. The clock has an easy to use and highly optimized menu is a multifunctional clock with many welcome functions. You can read the time on this watch very well with a large screen on a well-contoured modernist mirror background that combines the useful and the beautiful with the color palette vi you can choose to give you a bit of color in any house or office, shop, bedroom, living room, etc .. BuyBest! will provide you with more color shades like Color of the time display: Green / White / Red Color of the Shell: Black / White The digital clock with a mirror has a very low weight, giving the watch a great advantage that it can be easily picked up even in luggage. It is equipped with a memory function that helps a lot when it occurs accidentally producing a power failure, this function allows you to save time and restore the clock after starting the current or after it has been transported from one place to another you will not have to beat yourself the dinou head with clock setting. It comes equipped with a 12h or 24h format which is a great thing for me. It comes equipped with the date that has two types of temperature that is expressed in Celsius degrees C and in Fahrenheit F. The clock also displays the day of the month, it shows by rotation a few seconds minutes, day month and temperature. It also has the alarm in case you need to wake up at certain times will help you safely. The clock is powered by a USB cable that you can put on an external battery to a computer or Laptop or even a phone charger. 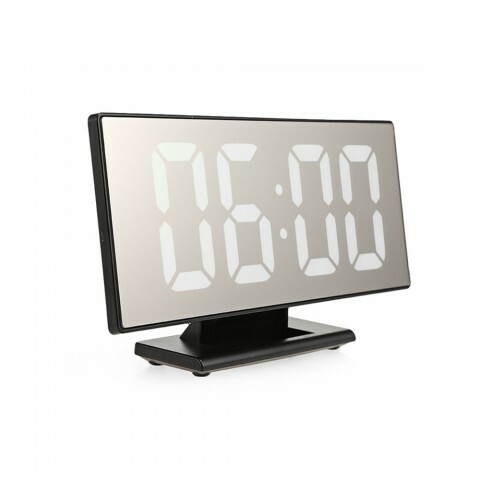 Specifications : Display: LED Display Clock Dimensions: 187 * 98 * 45mm Time Format: 12/24 Hour Switchable Brightness Level: high, medium, low Alarm: last for 2 minutes Snooze Duration: 5-60 Minutes Working Voltage: 3-5V Color of the Shell: Black / White Color of the time display: Green / White / Red Digital LED Alarm Clock comes with: • 1 x LED Alarm clock • 1 x USB cable • 1 x User Manual Thank you dear BuyBest! for this Digital LED Clock Clock Timer Calendar Table Decor - Green Black Shell. Terrific clock, well thought out. Display excellent, setting quick and easy, only scrolls forward BUT that's okay, unlike some other clocks that do so painfully slowly, this one zips through fast. 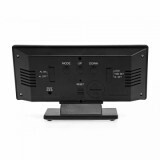 With display on full bright, easy to see against a brightly lit window! (Which was important to me.) I wake up easily, and on soft, the buzzer is not too obnoxious. Photo shows this clock next to the one I'm replacing, was too hard to read the old clock in the daytime. Watch Super!!!!!!! Very large numbers, light super does not hurt the eyes or at night or day, watch stylish. Although had a little tough with setting, etc. The instruction only for people who do not understand the Russian. Long time to adjust the, to work hours and the screen is not quenched, is 2 times not dropped completely all settings (reset). But, still can not adjust to show one time, constantly changes one by one time, date, temperature room. All happy seller recommend, goods reached in Kemerovo (Siberia) exactly one month and tracked. Purchased this clock because I needed a LARGE digital count down for a game we are doing. I received a discount in return for my honest opinion. Honestly, I probably would have opted for a small digital kitchen timer rather than spending the full price for this one for just my needs. But that's because I only needed a countdown timer. If I needed it for a clock and would use it as such, it would be worth the price. The item itself is great. Does just what it says it does, and it wasn't too hard to figure out how to set it. Excelente articulo. Mola mucho poder ver la hora en cualquier momento con ese display con los numeros grandes y luminosos. Para mí, es un articulo bastante recomendable. I purchased this item primarily for its countdown timer feature. I put it above the TV I watch while using my exercise bike. The display is very easy to see, and the timer is easy to set. Thanks. This clock is perfect. Even has battery backup for when the power goes down. Unlike some of the other large LED clocks which I've purchased here, the brightness is gentle and appropriate (competitors with larger numerals are literally the brightness of aircraft landing lights). A great piece of kit. The remote control and some instructions are taxing my brain a bt though. All in all, it operates exactly as the manual details and covers all the needs listed here. I wish they offered the same in a 6 digit clock. Great watch, there is time, date, temperature and alarm clock. Complete instructions on Whale and ENG languages and cable to connect to the phone charger with USB. Moms with dementia loves this. It keeps her knowing what day, and time it is. Large letters are great and she can see this anywhere in her TV room.